Slot machines are often known as ‘fruit machines’ or just ‘slots’. They come in many different varieties, shapes and colours, but they all have one thing in common; they’re easy to play and lots of fun! Select the slot machine you would like to play, take a seat and then use the touchscreen to choose which game you wish to play. You can choose to take your cash at any time or you can allow it to build up until you have finished playing on the machine. When you want to take your cash, press the ‘cash’ or ‘payout’ button. A receipt or ticket will be produced for all credit/winnings. Values up to £500 can be exchanged for cash using one of the ticket redemption terminals, or played on another Slot machine. Winnings over £200 can be exchanged for cash at the Cash Desk. Also known as American Roulette, the wheel has an extra 38th numbered cell ‘00’ which gives the game its name. The Dealer will help you place your bets if necessary, but it is your responsibility to make sure the bets are placed correctly. You may continue to place bets until the Dealer says ‘No more bets’. After the ball drops into a number in the wheel the Dealer announces the number and places a marker called a dolly on the corresponding number on the table. This is the winning number. In Roulette the House Edge is achieved by the casino paying slightly less than the true odds. Banco has two card total of 3. Punto has two card total of 0-5 and takes third card with a value of 8. This vibrant and fun game is simplicity itself, providing yet another enjoyable dimension to Aspers already diverse spectrum of gaming facilities. The Super Wheel is played on a circular wheel and consists of 52 equal compartments (or segments), each marked with seven different colours. Cash chips can be purchased from the Aspers Dealer. Once you have your chips, you can place a wager (bet) on the table positioned in front of the wheel, choosing any colour(s) that you think may win on the next spin. The dealer calls “No more bets” and spins the wheel. No bets will be accepted once the Super Wheel has been spun. When the wheel has finished spinning and lands on one of the colours, the Dealer announces the winning result. The dealer will remove all losing bets and all winning bets are paid at the odds displayed. Crazy 4 Poker is a new table game where you compete against the dealer to make the best ‘4 card’ poker hand. Players must have a bet on both ‘Ante’ and ‘Super bonus’ wagers to play. These bets must be within the stated minimum and maximums displayed at the table, and must be equal in value. To play the ‘Queens up’ bet you must already have a bet on both ‘Ante’ and ‘Super bonus’ wagers. The ‘Queens up’ bet is an optional side bet. Players are dealt 5 cards each and are looking to find the best 4 card poker hand. The player will now decide if they wish to play or fold. To continue with the game the player must place a wager on the ‘Play’ position. This bet must be equal in value to the ‘Ante’ bet. If the player has a hand that ranks as a pair of Aces or higher they may wager up to 3 times their Ante bet on the Play wager. When all customers have made their decision to either play or fold, the dealer will reveal their hand. The dealer qualifies with a hand of ‘King high’ or better. If the dealer qualifies and the player has a higher ranked hand than the dealer then the ‘Play’ and ‘Ante’ bets will be paid at even money 1-1. If the dealer does not qualify then the ‘Play’ bet will be paid at even money and the ‘Ante’ will stand. The ‘Super Bonus’ wins if the players hand is a Straight or higher and pays the odds in the pay-table below. However the ‘Super Bonus’ does not automatically lose if a hand of a ‘Straight’ or higher is not achieved. If the players hand is higher than the dealers hand, but is ranked lower than a straight then the bet will stand. If the dealers hand is ranked higher than the players and the player does not have a ‘Straight’ or higher, the bet will lose. The Queens up bet is a stand-alone bet that will pay if the player achieves a hand of a pair of Queens or higher and will lose if the qualifying hand is not reached. The odds for the bet are detailed below. The aim of the game is for one Player, using their best five card poker hand, to beat the other Players and win the pot. This is done by either having the highest ranking hand or by all the other Players folding. Two hole cards are dealt to each Player, followed by a round of betting. Three community cards are dealt face up (the flop) followed by another round of betting. Another card (the turn) is dealt, then the final community card (the river), each with a round of betting. The winning Player is the one with the best five card hand formed from any combination of their hole cards and community cards. Each Player receives between four and six hole cards. The community cards are dealt as in Texas Hold’em, and the betting round follows the same process. 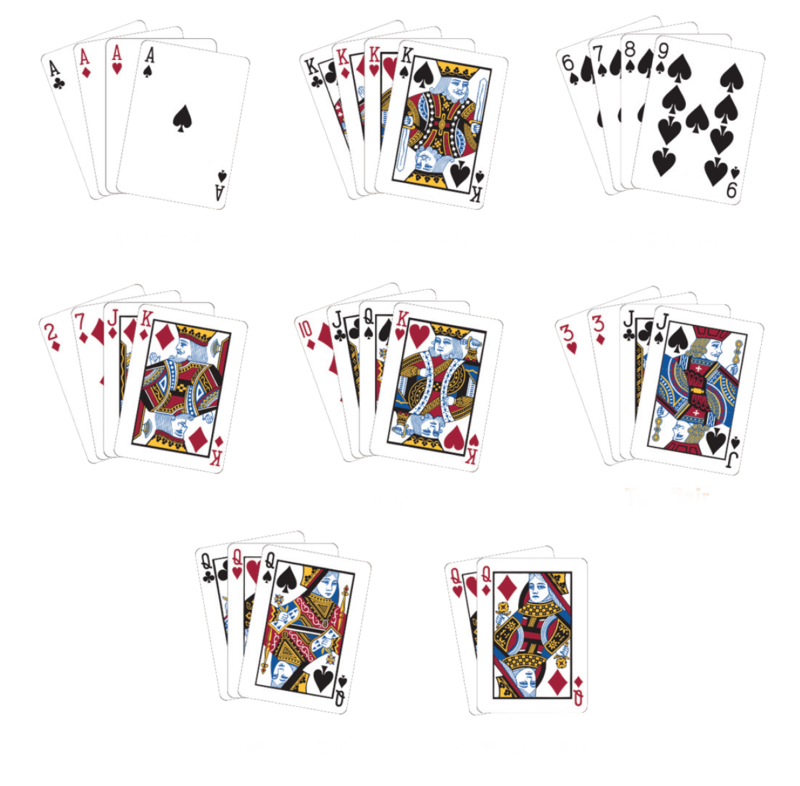 The winning hand in Omaha is the best five card hand formed by two of the Player’s hole cards and three of the community cards. Other variations may be available, with rules posted in the poker room. Prior to the beginning of any session the Random Number Generator will be set on automatic call and be left on until all 80 numbers have been selected. Which line/lines or full house (or any other combination) has to be completed to win. When play begins each number will be selected at random by means of a Random Number Generator in the full view of the majority of players. Members must mark their cards/boards in such a way that the numbers are sufficiently legible to be easily checked beyond dispute. For the assistance of the players the numbers called are repeated on indicator boards being lit either automatically by the equipment or manually by the Caller. In the event of a discrepancy between a number announced by the Caller and that illuminated on the indicator board the actual number produced by the Random Number Generator shall prevail. The point at which the next number is deemed to have been called will be the moment the Caller has commenced that number in any degree. Once a number has been so started it will be completed and that number will become the last number called. The winning card/board must contain the last number called as part of the winning sequence. No further claims will be accepted for a line, or two lines (or any other combination) once the next number has been called. No further claims will be accepted after the reset button has been activated and the Random Number Generator set for the next game. It is the responsibility of each player to stop the game before the next number is called. No member of staff will be allowed to accept responsibility on behalf of a member. When a claim is made the player will produce his book or card for checking. If books/tickets are been used then these must be intact upon checking a claim. When a claim is been checked the following items will be announced/displayed. The Caller will then decide on the claim and announce his decision. If he does not allow the claim he will endeavour to obtain the player’s agreement to that decision. The reason why the claim has not been allowed will be announced. In the case of a special game for a prize (not cash) provided by the Proprietor, the Caller will announce before the game the procedure to be adopted in the event of more than one winner sharing the game. In the event of more than one winner, in accordance with the rules, being declared for a game, the prize money for the game shall be shared equally amongst the winners. Where the prize in question is not cash and more than one winner is determined, and elimination is necessary to determine an outright winner, such elimination must be achieved by the playing of a Bingo game and not by a draw or lottery. Employees of the company are not permitted to play at the Club where they are employed, nor to participate in any linked game with the Club where they are employed. The Management reserve the right to withdraw guarantees/promotions in the event of attendances being reduced by adverse weather conditions or the effects of industrial disputes. In all matters the Club Manager’s decision will be final.